Making friends can be complicated (especially when science tells us that one out of two friendships is one-sided). But research from Dartmouth sociology professor Janice McCabe suggests that the types of social structures we form are surprisingly straightforward, Quartz reports. According to her paper [PDF] published last year in the journal Contexts, our friendship styles can be broken into three simple categories. For her study, McCabe looked at 67 students at a four-year Midwestern university (a small sample size, to be sure). She found that most subjects fit under one of the three umbrellas: tight-knitters, compartmentalizers, and samplers. Members of the first group belong to a single social network where everyone’s connected in some way—in other words, you have one big group of friends. Tight-knitters have a net of social support to fall back on but also risk being dragged down by negativity in the group. Compartmentalizers have a few small clusters of friends rather than one tightly woven web. These friend-makers have two to four friend groups that rarely mix, which gives them the benefit of being able to hop between clusters in order to satisfy different needs. The last category, samplers, have many individual friendships collected from different parts of life. People who gravitate towards one-on-one relationships may be more independent in their personal lives, but they sometimes lack a sense of belonging. McCabe entered into the study looking to see what effect, if any, peer groups have on performance in school. She found that while tight-knitters and compartmentalizers often turn to friends for academic support, samplers usually rely on themselves in that area. 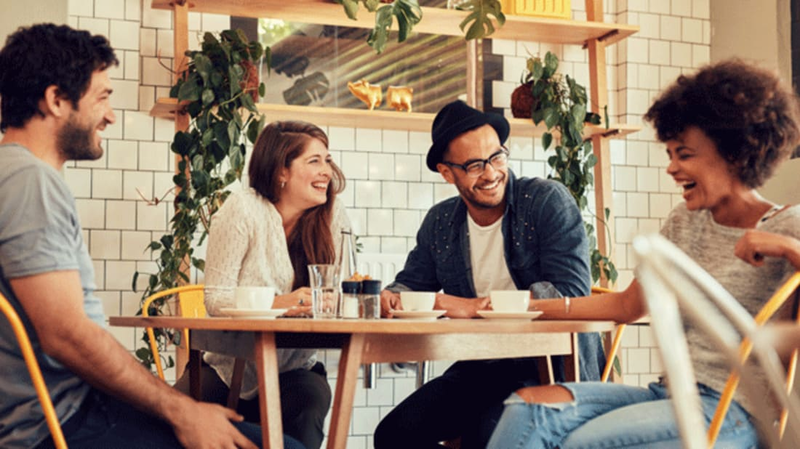 The classroom isn’t the only place where a strong network of friends comes in handy: After graduation, friendships can also help you get ahead and stay sane in the workforce.